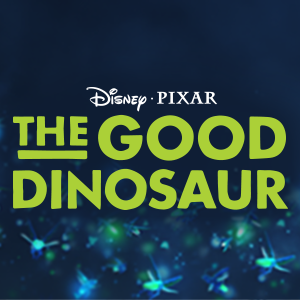 See a NEW Clip for Disney/Pixar's The Good Dinosaur! You guys, I am so tickled to share this clip with you. It's going to be so amazing to finally see the whole film, but for now, check out this little gem from the hilariously heartwarming adventure about the power of confronting and overcoming your fears and discovering who you are meant to be. Starring some pretty big names, including Raymond Ochoa, Jeffrey Wright, Frances McDormand , Marcus Scribner, Jack Bright, Steve Zahn, A.J. Buckley, Anna Paquin, and Sam Elliott, this film will be available for families to view in their homes on Blu-ray™ Combo Pack, Digital HD and Disney Movies Anywhere February 23!